A strong and surprisingly large field has signed up for the 2018 Non-Stop Dusi Canoe Marathon, presented by Lovemore Brothers & Savunde Accountants, set to be one of the hardest in memory and to get to Blue Lagoon in one piece on Friday will be an achievement in itself. With 54 paddlers in 32 boats ready to take on the journey from Camps Drift to Blue Lagoon, the field is fronted by some class entries with a couple boats putting their names forward as potential winners. Leading the charge is the Euro Steel duo of Sbonelo Khwela and Thulani Mbanjwa. The pair has been part of a golden era of Non-Stop Dusi with the former going into 2018 with five titles under his belt – which include both the K1 and K2 records. Mbanjwa hasn’t tasted success at the event since 2015 when he won the race with Nhlanhla Cele, however he has always managed to be in and around the podium regularly. In the field to challenge for the overall honours are the 2018 FNB Dusi Canoe Marathon silver medallists Carl Folscher and Hungarian partner Adrian Boros. They paddled their way into fourth last year but coming off a remarkable Dusi they could upset the apple cart on Friday. Another K2 combination that will be very keen to take the overall honours will be the Change a Life/Euro Steel duo of Banetse Nkhoesa and Mthobisi Cele. 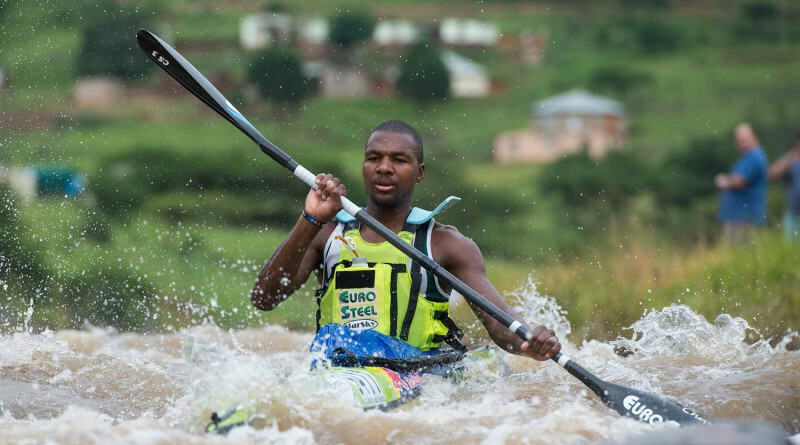 Cele, who won the 2017 edition with Mpilo Zondi, will team up with Nkhoesa, who finished fourth in the 2018 Dusi with Ant Stott. The pair has the wherewithal to challenge for the 2018 title. Martin Dreyer’s Change a Life Academy will once again provide a strong contingent with the likes of Maswenkosi Mtolo and Thabani Msiya taking part as well as the crew of Mzamo Zondi and Siyanda Gwamanda and pairing of Thomas Ngidi and Sipho Canham. These K2’s should provide a threat to the race favourites and if 2017’s result is anything to go on, another upset could be on the cards and it could well come from one of these crews. With the Non-Stop Dusi not following any sort of craft specification, the overall winner can be either a K1 or a K2 and there are a few K1 boats that could be in with a title chance – or at least a podium finish. Probably the most likely of the K1’s to feature at the top end of the results sheet is that of 2017 winner Mpilo Zondi. The Change a Life star paddled to last year’s title with Mthobisi Cele but will take on the challenge this year alone. Euro Steel’s Andrew Houston is another potential podium candidate. The man from Underberg had to withdraw from the 2018 FNB Dusi after his brother fell ill before dawn of day two but with his last of two Non-Stop outings being a sixth in 2014 with Carl Folscher he’s going to have to draw on all his Dusi experience. There is an all-ladies crew that has entered the 2018 Non-Stop Dusi, the pair of Kelly Howe and Susan Machpesh. The duo finished seventh in the ladies race at the 2018 FNB Dusi and will look to continue that good form into Friday. 2018 will see Rhys Foster nudge towards Eric Bothma’s overall record of 19 Non-Stop Dusi finishes when he eyes his 18th finish at Blue Lagoon. Paddlers will set off from Camps Drift at 05:15 with three cut-off points along the way, the Finger Neck portage, the Inanda Dam Wall and finally the Pump House weir.